Rocky Mountain Foot & Ankle is stepping up to help those in need in the Treasure Valley through its Sole Purpose shoe and sock drive November 1-January 31. Rocky Mountain Foot & Ankle is now accepting donations of new socks and new and gently used shoes and boots during its community shoe drive. Proper footwear makes a huge difference in foot health. So many foot and ankle issues could be avoided with proper protection, support, and, quality shoes and socks. Dr. Roman Burk, podiatrist at Rocky Mountain Foot & Ankle, chose to collect new socks and new and gently used shoes as a way to obtain footwear for those less fortunate in the Treasure Valley. Donated items will benefit the Interfaith Sanctuary in Boise. Please donate and help those in need in our community. 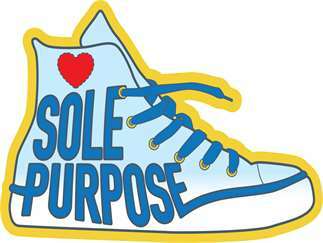 Helping is easy – simply drop off a pair of new socks, new or gently used shoes, boots, or donate to www.gofundme.com/sole-purpose-shoe-sock-drive. Donation boxes are located at each Rocky Mountain Foot & Ankle office. Rocky Mountain Foot & Ankle has offices throughout the Treasure Valley in Meridian, Eagle, Nampa, and Caldwell. Specializing in all types of foot and ankle care, Rocky Mountain Foot & Ankle can help get you back on your feet.